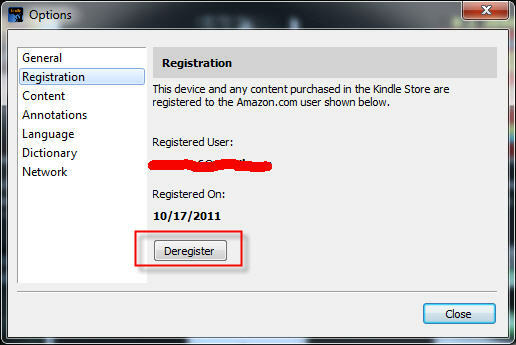 How to deregister in Kindle for PC or Mac? Error: No key found. Most likely the correct PID has not been given. 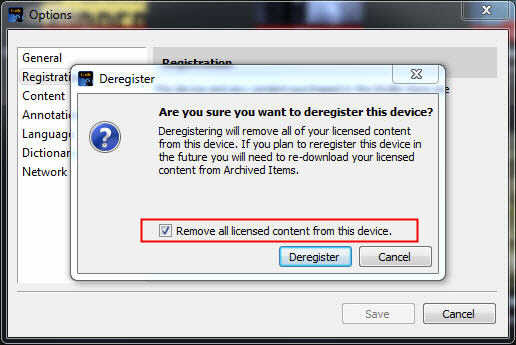 Open Option window, click Deregister button to deregister, remove all license content, close it. Run Kindle for Pc or Kindle for Mac, register it again. Select ebook title in Kindle for Pc, right-click download item to re-download ebook. Run Kindle drm removal, try again. goto amazon webpage “manage device”, delete that pc if it still show up. for windows, delete folder “c:\programdata\ebook converter” that is hidden folder.